Gameloft's action-adventure Wild Blood has been released to Android for a while now and I guess you've already heard of it or played it before. It's about the story of King Arthur who summoned demons to destroy the kingdom after learning of his wife's affair with Sir Lancelot (you). You have to save the day by doing a lot of hacking and slashing. Free download the latest version of Wild Blood APK with Sd Data (Offline) including Modded Money for Android from the direct link given below and start your journey. - Full 3D graphics with gorgeous real time special effects powered by the powerful Unreal Technology. - 10 breathtaking levels including some amazing locations. - Fight epic bosses and dozens of powerful enemies. 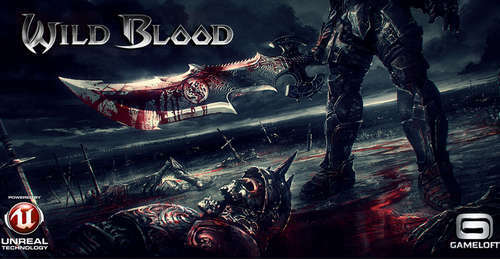 - Wield the most demon-crashing weaponry ranging from axes and longbows to your unbeatable sword. - Fight off the legions of Hell and challenge the mighty King Arthur. - Play with up to 8 friends using Wifi or Online, and show off your scores on the leaderboard. 3. Play offline and enjoy the MOD. Extract the game data using peazip or 7zip on PC, copy the extracted folder data to Android/obb, install the APK, run the game (1st time online). - One player is the Juggernaut and everyone else has to hunt him down! The Juggernaut gets special powers and is bigger than all the other players. Kill him and you become the new Juggernaut! There you have it folks, all versions of Wild Blood Apk Data mod with freshly updated working download links. Please comment if you have any questions or face any bugs, etc.